This article is about the philosophical notion of idealism. For the ethical principle, see Ideal (ethics). For other uses, see Idealism (disambiguation). The 20th-century British scientist Sir James Jeans wrote that "the Universe begins to look more like a great thought than like a great machine." In philosophy, idealism is the group of philosophies which assert that reality, or reality as we can know it, is fundamentally mental, mentally constructed, or otherwise immaterial. Epistemologically, idealism manifests as a skepticism about the possibility of knowing any mind-independent thing. In a sociological sense, idealism emphasizes how human ideas—especially beliefs and values—shape society. As an ontological doctrine, idealism goes further, asserting that all entities are composed of mind or spirit. Idealism thus rejects physicalist and dualist theories that fail to ascribe priority to the mind. The earliest extant arguments that the world of experience is grounded in the mental derive from India and Greece. The Hindu idealists in India and the Greek Neoplatonists gave panentheistic arguments for an all-pervading consciousness as the ground or true nature of reality. In contrast, the Yogācāra school, which arose within Mahayana Buddhism in India in the 4th century CE, based its "mind-only" idealism to a greater extent on phenomenological analyses of personal experience. This turn toward the subjective anticipated empiricists such as George Berkeley, who revived idealism in 18th-century Europe by employing skeptical arguments against materialism. Beginning with Immanuel Kant, German idealists such as G. W. F. Hegel, Johann Gottlieb Fichte, Friedrich Wilhelm Joseph Schelling, and Arthur Schopenhauer dominated 19th-century philosophy. This tradition, which emphasized the mental or "ideal" character of all phenomena, gave birth to idealistic and subjectivist schools ranging from British idealism to phenomenalism to existentialism. The historical influence of this branch of idealism remains central even to the schools that rejected its metaphysical assumptions, such as Marxism, pragmatism and positivism. Idealism is a term with several related meanings. It comes via idea from the Greek idein (ἰδεῖν), meaning "to see". The term entered the English language by 1743. In ordinary use, as when speaking of Woodrow Wilson's political idealism, it generally suggests the priority of ideals, principles, values, and goals over concrete realities. Idealists are understood to represent the world as it might or should be, unlike pragmatists, who focus on the world as it presently is. In the arts, similarly, idealism affirms imagination and attempts to realize a mental conception of beauty, a standard of perfection, juxtaposed to aesthetic naturalism and realism. Any philosophy that assigns crucial importance to the ideal or spiritual realm in its account of human existence may be termed "idealist". Metaphysical idealism is an ontological doctrine that holds that reality itself is incorporeal or experiential at its core. Beyond this, idealists disagree on which aspects of the mental are more basic. Platonic idealism affirms that abstractions are more basic to reality than the things we perceive, while subjective idealists and phenomenalists tend to privilege sensory experience over abstract reasoning. Epistemological idealism is the view that reality can only be known through ideas, that only psychological experience can be apprehended by the mind. Subjective idealists like George Berkeley are anti-realists in terms of a mind-independent world, whereas transcendental idealists like Immanuel Kant are strong skeptics of such a world, affirming epistemological and not metaphysical idealism. Thus Kant defines idealism as "the assertion that we can never be certain whether all of our putative outer experience is not mere imagining". He claimed that, according to idealism, "the reality of external objects does not admit of strict proof. On the contrary, however, the reality of the object of our internal sense (of myself and state) is clear immediately through consciousness." However, not all idealists restrict the real or the knowable to our immediate subjective experience. Objective idealists make claims about a transempirical world, but simply deny that this world is essentially divorced from or ontologically prior to the mental. Thus Plato and Gottfried Leibniz affirm an objective and knowable reality transcending our subjective awareness—a rejection of epistemological idealism—but propose that this reality is grounded in ideal entities, a form of metaphysical idealism. Nor do all metaphysical idealists agree on the nature of the ideal; for Plato, the fundamental entities were non-mental abstract forms, while for Leibniz they were proto-mental and concrete monads. As a rule, transcendental idealists like Kant affirm idealism's epistemic side without committing themselves to whether reality is ultimately mental; objective idealists like Plato affirm reality's metaphysical basis in the mental or abstract without restricting their epistemology to ordinary experience; and subjective idealists like Berkeley affirm both metaphysical and epistemological idealism. Monistic idealism holds that consciousness, not matter, is the ground of all being. It is monist because it holds that there is only one type of thing in the universe and idealist because it holds that one thing to be consciousness. Anaxagoras (480 BC) was known as "Nous" ("Mind") because he taught that "all things" were created by Mind, that Mind held the cosmos together and gave human beings a connection to the cosmos or a pathway to the divine. Many religious philosophies are specifically idealist. The belief that beings with knowledge (God/s, angels & spirits) preceded insentient matter seems to suggest that an experiencing subject is a necessary reality. Hindu idealism is central to Vedanta philosophy and to such schools as Kashmir Shaivism. Proponents include P.R. Sarkar and his disciple Sohail Inayatullah. Christian theologians have held idealist views, often based on Neoplatonism, despite the influence of Aristotelian scholasticism from the 12th century onward. Later western theistic idealism such as that of Hermann Lotze offers a theory of the "world ground" in which all things find their unity: it has been widely accepted by Protestant theologians. Several modern religious movements, for example the organizations within the New Thought Movement and the Unity Church, may be said to have a particularly idealist orientation. The theology of Christian Science includes a form of idealism: it teaches that all that truly exists is God and God's ideas; that the world as it appears to the senses is a distortion of the underlying spiritual reality, a distortion that may be corrected (both conceptually and in terms of human experience) through a reorientation (spiritualization) of thought. Wang Yangming, a Ming Chinese neo-Confucian philosopher, official, educationist, calligraphist and general, held that objects do not exist entirely apart from the mind because the mind shapes them. It is not the world that shapes the mind but the mind that gives reason to the world, so the mind alone is the source of all reason, having an inner light, an innate moral goodness and understanding of what is good. The consciousness-only approach of the Yogācāra school of Mahayana Buddhism is not true metaphysical idealism as Yogācāra thinkers did not focus on consciousness to assert it as ultimately real, it is only conventionally real since it arises from moment to moment due to fluctuating causes and conditions and is significant because it is the cause of karma and hence suffering. Plato's theory of forms or "ideas" describes ideal forms (for example the platonic solids in geometry or abstracts like Goodness and Justice), as universals existing independently of any particular instance. Arne Grøn calls this doctrine "the classic example of a metaphysical idealism as a transcendent idealism", while Simone Klein calls Plato "the earliest representative of metaphysical objective idealism". Nevertheless, Plato holds that matter is real, though transitory and imperfect, and is perceived by our body and its senses and given existence by the eternal ideas that are perceived directly by our rational soul. Plato was therefore a metaphysical and epistemological dualist, an outlook that modern idealism has striven to avoid: Plato's thought cannot therefore be counted as idealist in the modern sense. With the neoplatonist Plotinus, wrote Nathaniel Alfred Boll "there even appears, probably for the first time in Western philosophy, idealism that had long been current in the East even at that time, for it taught... that the soul has made the world by stepping from eternity into time...". Similarly, in regard to passages from the Enneads, "The only space or place of the world is the soul" and "Time must not be assumed to exist outside the soul". Ludwig Noiré wrote: "For the first time in Western philosophy we find idealism proper in Plotinus". However, Plotinus does not address whether we know external objects, unlike Schopenhauer and other modern philosophers. Subjective Idealism (immaterialism or phenomenalism) describes a relationship between experience and the world in which objects are no more than collections or "bundles" of sense data in the perceiver. Proponents include Berkeley, Bishop of Cloyne, an Anglo-Irish philosopher who advanced a theory he called immaterialism, later referred to as "subjective idealism", contending that individuals can only know sensations and ideas of objects directly, not abstractions such as "matter", and that ideas also depend upon being perceived for their very existence - esse est percipi; "to be is to be perceived". Arthur Collier published similar assertions though there seems to have been no influence between the two contemporary writers. The only knowable reality is the represented image of an external object. Matter as a cause of that image, is unthinkable and therefore nothing to us. An external world as absolute matter unrelated to an observer does not exist as far as we are concerned. The universe cannot exist as it appears if there is no perceiving mind. Collier was influenced by An Essay Towards the Theory of the Ideal or Intelligible World by "Cambridge Platonist" John Norris (1701). "If we say that the things known must be in the mind, we are either unduly limiting the mind's power of knowing, or we are uttering a mere tautology. We are uttering a mere tautology if we mean by 'in the mind' the same as by 'before the mind', i.e. if we mean merely being apprehended by the mind. But if we mean this, we shall have to admit that what, in this sense, is in the mind, may nevertheless be not mental. Thus when we realize the nature of knowledge, Berkeley's argument is seen to be wrong in substance as well as in form, and his grounds for supposing that 'idea'-i.e. the objects apprehended-must be mental, are found to have no validity whatever. Hence his grounds in favour of the idealism may be dismissed." The Australian philosopher David Stove harshly criticized philosophical idealism, arguing that it rests on what he called "the worst argument in the world". Stove claims that Berkeley tried to derive a non-tautological conclusion from tautological reasoning. He argued that in Berkeley's case the fallacy is not obvious and this is because one premise is ambiguous between one meaning which is tautological and another which, Stove argues, is logically equivalent to the conclusion. Santa Claus the person does not exist. and proliferation of hyphenated entities such as "thing-in-itself" (Immanuel Kant), "things-as-interacted-by-us" (Arthur Fine), "table-of-commonsense" and "table-of-physics" (Sir Arthur Eddington) which are "warning signs" for conceptual idealism according to Musgrave because they allegedly do not exist but only highlight the numerous ways in which people come to know the world. This argument does not take into account the issues pertaining to hermeneutics, especially at the backdrop of analytic philosophy. Musgrave criticized Richard Rorty and Postmodernist philosophy in general for confusion of use and mention. A. A. Luce and John Foster are other subjectivists. Luce, in Sense without Matter (1954), attempts to bring Berkeley up to date by modernizing his vocabulary and putting the issues he faced in modern terms, and treats the Biblical account of matter and the psychology of perception and nature. Foster's The Case for Idealism argues that the physical world is the logical creation of natural, non-logical constraints on human sense-experience. Foster's latest defense of his views is in his book A World for Us: The Case for Phenomenalistic Idealism. Paul Brunton, a British philosopher, mystic, traveler, and guru, taught a type of idealism called "mentalism", similar to that of Bishop Berkeley, proposing a master world-image, projected or manifested by a world-mind, and an infinite number of individual minds participating. A tree does not cease to exist if nobody sees it because the world-mind is projecting the idea of the tree to all minds. Searle contends that Conclusion 2 does not follow from the premises. Epistemological idealism is a subjectivist position in epistemology that holds that what one knows about an object exists only in one's mind. Proponents include Brand Blanshard. Transcendental idealism, founded by Immanuel Kant in the eighteenth century, maintains that the mind shapes the world we perceive into the form of space-and-time. ... if I remove the thinking subject, the whole material world must at once vanish because it is nothing but a phenomenal appearance in the sensibility of ourselves as a subject, and a manner or species of representation. Kant distinguished between things as they appear to an observer and things in themselves, "that is, things considered without regard to whether and how they may be given to us". We cannot approach the noumenon, the "thing in Itself" (German: Ding an sich) without our own mental world. He added that the mind is not a blank slate, tabula rasa but rather comes equipped with categories for organising our sense impressions. In the first volume of his Parerga and Paralipomena, Schopenhauer wrote his "Sketch of a History of the Doctrine of the Ideal and the Real". He defined the ideal as being mental pictures that constitute subjective knowledge. The ideal, for him, is what can be attributed to our own minds. The images in our head are what comprise the ideal. Schopenhauer emphasized that we are restricted to our own consciousness. The world that appears is only a representation or mental picture of objects. We directly and immediately know only representations. All objects that are external to the mind are known indirectly through the mediation of our mind. He offered a history of the concept of the "ideal" as "ideational" or "existing in the mind as an image". [T]rue philosophy must at all costs be idealistic; indeed, it must be so merely to be honest. For nothing is more certain than that no one ever came out of himself in order to identify himself immediately with things different from him; but everything of which he has certain, sure, and therefore immediate knowledge, lies within his consciousness. Beyond this consciousness, therefore, there can be no immediate certainty ... There can never be an existence that is objective absolutely and in itself; such an existence, indeed, is positively inconceivable. For the objective, as such, always and essentially has its existence in the consciousness of a subject; it is therefore the subject's representation, and consequently is conditioned by the subject, and moreover by the subject's forms of representation, which belong to the subject and not to the object. Charles Bernard Renouvier was the first Frenchman after Nicolas Malebranche to formulate a complete idealistic system, and had a vast influence on the development of French thought. His system is based on Immanuel Kant's, as his chosen term "néo-criticisme" indicates; but it is a transformation rather than a continuation of Kantianism. Friedrich Nietzsche argued that Kant commits an agnostic tautology and does not offer a satisfactory answer as to the source of a philosophical right to such-or-other metaphysical claims; he ridicules his pride in tackling "the most difficult thing that could ever be undertaken on behalf of metaphysics." The famous "thing-in-itself" was called a product of philosophical habit, which seeks to introduce a grammatical subject: because wherever there is cognition, there must be a thing that is cognized and allegedly it must be added to ontology as a being (whereas, to Nietzsche, only the world as ever changing appearances can be assumed). Yet he attacks the idealism of Schopenhauer and Descartes with an argument similar to Kant's critique of the latter (see above). Objective idealism asserts that the reality of experiencing combines and transcends the realities of the object experienced and of the mind of the observer. Proponents include Thomas Hill Green, Josiah Royce, Benedetto Croce and Charles Sanders Peirce. Schelling (1775–1854) claimed that the Fichte's "I" needs the Not-I, because there is no subject without object, and vice versa. So there is no difference between the subjective and the objective, that is, the ideal and the real. This is Schelling's "absolute identity": the ideas or mental images in the mind are identical to the extended objects which are external to the mind. Absolute idealism is G. W. F. Hegel's account of how existence is comprehensible as an all-inclusive whole. Hegel called his philosophy "absolute" idealism in contrast to the "subjective idealism" of Berkeley and the "transcendental idealism" of Kant and Fichte, which were not based on a critique of the finite and a dialectical philosophy of history as Hegel's idealism was. The exercise of reason and intellect enables the philosopher to know ultimate historical reality, the phenomenological constitution of self-determination, the dialectical development of self-awareness and personality in the realm of History. In his Science of Logic (1812–1814) Hegel argues that finite qualities are not fully "real" because they depend on other finite qualities to determine them. Qualitative infinity, on the other hand, would be more self-determining and hence more fully real. Similarly finite natural things are less "real"—because they are less self-determining—than spiritual things like morally responsible people, ethical communities and God. So any doctrine, such as materialism, that asserts that finite qualities or natural objects are fully real is mistaken. Hegel certainly intends to preserve what he takes to be true of German idealism, in particular Kant's insistence that ethical reason can and does go beyond finite inclinations. For Hegel there must be some identity of thought and being for the "subject" (any human observer)) to be able to know any observed "object" (any external entity, possibly even another human) at all. Under Hegel's concept of "subject-object identity," subject and object both have Spirit (Hegel's ersatz, redefined, nonsupernatural "God") as their conceptual (not metaphysical) inner reality—and in that sense are identical. But until Spirit's "self-realization" occurs and Spirit graduates from Spirit to Absolute Spirit status, subject (a human mind) mistakenly thinks every "object" it observes is something "alien," meaning something separate or apart from "subject." In Hegel's words, "The object is revealed to it [to "subject"] by [as] something alien, and it does not recognize itself." Self-realization occurs when Hegel (part of Spirit's nonsupernatural Mind, which is the collective mind of all humans) arrives on the scene and realizes that every "object" is himself, because both subject and object are essentially Spirit. When self-realization occurs and Spirit becomes Absolute Spirit, the "finite" (man, human) becomes the "infinite" ("God," divine), replacing the imaginary or "picture-thinking" supernatural God of theism: man becomes God. Tucker puts it this way: "Hegelianism . . . is a religion of self-worship whose fundamental theme is given in Hegel's image of the man who aspires to be God himself, who demands 'something more, namely infinity.'" The picture Hegel presents is "a picture of a self-glorifying humanity striving compulsively, and at the end successfully, to rise to divinity." So-called systems have often been characterized and challenged in the assertion that they abrogate the distinction between good and evil, and destroy freedom. Perhaps one would express oneself quite as definitely, if one said that every such system fantastically dissipates the concept existence. ... Being an individual man is a thing that has been abolished, and every speculative philosopher confuses himself with humanity at large; whereby he becomes something infinitely great, and at the same time nothing at all. A major concern of Hegel's Phenomenology of Spirit (1807) and of the philosophy of Spirit that he lays out in his Encyclopedia of the Philosophical Sciences (1817–1830) is the interrelation between individual humans, which he conceives in terms of "mutual recognition." However, what Climacus means by the aforementioned statement, is that Hegel, in the Philosophy of Right, believed the best solution was to surrender one's individuality to the customs of the State, identifying right and wrong in view of the prevailing bourgeois morality. Individual human will ought, at the State's highest level of development, to properly coincide with the will of the State. Climacus rejects Hegel's suppression of individuality by pointing out it is impossible to create a valid set of rules or system in any society which can adequately describe existence for any one individual. Submitting one's will to the State denies personal freedom, choice, and responsibility. In addition, Hegel does believe we can know the structure of God's mind, or ultimate reality. Hegel agrees with Kierkegaard that both reality and humans are incomplete, inasmuch as we are in time, and reality develops through time. But the relation between time and eternity is outside time and this is the "logical structure" that Hegel thinks we can know. Kierkegaard disputes this assertion, because it eliminates the clear distinction between ontology and epistemology. Existence and thought are not identical and one cannot possibly think existence. Thought is always a form of abstraction, and thus not only is pure existence impossible to think, but all forms in existence are unthinkable; thought depends on language, which merely abstracts from experience, thus separating us from lived experience and the living essence of all beings. In addition, because we are finite beings, we cannot possibly know or understand anything that is universal or infinite such as God, so we cannot know God exists, since that which transcends time simultaneously transcends human understanding. Bradley saw reality as a monistic whole apprehended through "feeling", a state in which there is no distinction between the perception and the thing perceived. Like Berkeley, Bradley thought that nothing can be known to exist unless it is known by a mind. We perceive, on reflection, that to be real, or even barely to exist, must be to fall within sentience ... . Find any piece of existence, take up anything that any one could possibly call a fact, or could in any sense assert to have being, and then judge if it does not consist in sentient experience. Try to discover any sense in which you can still continue to speak of it, when all perception and feeling have been removed; or point out any fragment of its matter, any aspect of its being, which is not derived from and is not still relative to this source. When the experiment is made strictly, I can myself conceive of nothing else than the experienced. Bradley was the apparent target of G. E. Moore's radical rejection of idealism. Moore claimed that Bradley did not understand the statement that something is real. We know for certain, through common sense and prephilosophical beliefs, that some things are real, whether they are objects of thought or not, according to Moore. The 1903 article The Refutation of Idealism is one of the first demonstrations of Moore's commitment to analysis. He examines each of the three terms in the Berkeleian aphorism esse est percipi, "to be is to be perceived", finding that it must mean that the object and the subject are necessarily connected so that "yellow" and "the sensation of yellow" are identical - "to be yellow" is "to be experienced as yellow". But it also seems there is a difference between "yellow" and "the sensation of yellow" and "that esse is held to be percipi, solely because what is experienced is held to be identical with the experience of it". Though far from a complete refutation, this was the first strong statement by analytic philosophy against its idealist predecessors, or at any rate against the type of idealism represented by Berkeley. This argument did not show that the GEM (in post–Stove vernacular, see below) is logically invalid. Actual Idealism is a form of idealism developed by Giovanni Gentile that grew into a "grounded" idealism contrasting Kant and Hegel. Pluralistic idealism such as that of Gottfried Leibniz takes the view that there are many individual minds that together underlie the existence of the observed world and make possible the existence of the physical universe. Unlike absolute idealism, pluralistic idealism does not assume the existence of a single ultimate mental reality or "Absolute". Leibniz' form of idealism, known as Panpsychism, views "monads" as the true atoms of the universe and as entities having perception. The monads are "substantial forms of being, "elemental, individual, subject to their own laws, non-interacting, each reflecting the entire universe. Monads are centers of force, which is substance while space, matter and motion are phenomenal and their form and existence is dependent on the simple and immaterial monads. There is a pre-established harmony established by God, the central monad, between the world in the minds of the monads and the external world of objects. Leibniz's cosmology embraced traditional Christian Theism. The English psychologist and philosopher James Ward inspired by Leibniz had also defended a form of pluralistic idealism. According to Ward the universe is composed of "psychic monads" of different levels, interacting for mutual self- betterment. Personalism is the view that the minds that underlie reality are the minds of persons. Borden Parker Bowne, a philosopher at Boston University, a founder and popularizer of personal idealism, presented it as a substantive reality of persons, the only reality, as known directly in self-consciousness. Reality is a society of interacting persons dependent on the Supreme Person of God. Other proponents include George Holmes Howison and J. M. E. McTaggart. Howison's personal idealism  was also called "California Personalism" by others to distinguish it from the "Boston Personalism" which was of Bowne. Howison maintained that both impersonal, monistic idealism and materialism run contrary to the experience of moral freedom. To deny freedom to pursue truth, beauty, and "benignant love" is to undermine every profound human venture, including science, morality, and philosophy. Personalistic idealists Borden Parker Bowne and Edgar S. Brightman and realistic personal theist Saint Thomas Aquinas address a core issue, namely that of dependence upon an infinite personal God. Howison, in his book The Limits of Evolution and Other Essays Illustrating the Metaphysical Theory of Personal Idealism, created a democratic notion of personal idealism that extended all the way to God, who was no more the ultimate monarch but the ultimate democrat in eternal relation to other eternal persons. J. M. E. McTaggart's idealist atheism and Thomas Davidson's Apeirionism resemble Howisons personal idealism. J. M. E. McTaggart of Cambridge University, argued that minds alone exist and only relate to each other through love. Space, time and material objects are unreal. In The Unreality of Time he argued that time is an illusion because it is impossible to produce a coherent account of a sequence of events. The Nature of Existence (1927) contained his arguments that space, time, and matter cannot possibly be real. In his Studies in Hegelian Cosmology (Cambridge, 1901, p196) he declared that metaphysics are not relevant to social and political action. McTaggart "thought that Hegel was wrong in supposing that metaphysics could show that the state is more than a means to the good of the individuals who compose it". For McTaggart "philosophy can give us very little, if any, guidance in action... Why should a Hegelian citizen be surprised that his belief as to the organic nature of the Absolute does not help him in deciding how to vote? Would a Hegelian engineer be reasonable in expecting that his belief that all matter is spirit should help him in planning a bridge? Thomas Davidson taught a philosophy called "apeirotheism", a "form of pluralistic idealism...coupled with a stern ethical rigorism" which he defined as "a theory of Gods infinite in number." The theory was indebted to Aristotle's pluralism and his concepts of Soul, the rational, living aspect of a living substance which cannot exist apart from the body because it is not a substance but an essence, and nous, rational thought, reflection and understanding. Although a perennial source of controversy, Aristotle arguably views the latter as both eternal and immaterial in nature, as exemplified in his theology of unmoved movers. Identifying Aristotle's God with rational thought, Davidson argued, contrary to Aristotle, that just as the soul cannot exist apart from the body, God cannot exist apart from the world. Idealist notions took a strong hold among physicists of the early 20th century confronted with the paradoxes of quantum physics and the theory of relativity. 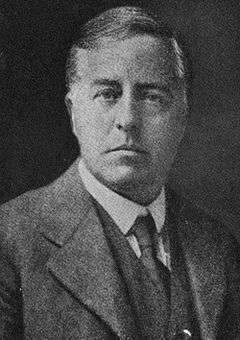 In The Grammar of Science, Preface to the 2nd Edition, 1900, Karl Pearson wrote, "There are many signs that a sound idealism is surely replacing, as a basis for natural philosophy, the crude materialism of the older physicists." This book influenced Einstein's regard for the importance of the observer in scientific measurements. In § 5 of that book, Pearson asserted that "...science is in reality a classification and analysis of the contents of the mind...." Also, "...the field of science is much more consciousness than an external world." "The mind-stuff of the world is, of course, something more general than our individual conscious minds.... The mind-stuff is not spread in space and time; these are part of the cyclic scheme ultimately derived out of it.... It is necessary to keep reminding ourselves that all knowledge of our environment from which the world of physics is constructed, has entered in the form of messages transmitted along the nerves to the seat of consciousness.... Consciousness is not sharply defined, but fades into subconsciousness; and beyond that we must postulate something indefinite but yet continuous with our mental nature.... It is difficult for the matter-of-fact physicist to accept the view that the substratum of everything is of mental character. But no one can deny that mind is the first and most direct thing in our experience, and all else is remote inference." Ian Barbour in his book Issues in Science and Religion (1966), p. 133, cites Arthur Eddington's The Nature of the Physical World (1928) for a text that argues The Heisenberg Uncertainty Principles provides a scientific basis for "the defense of the idea of human freedom" and his Science and the Unseen World (1929) for support of philosophical idealism "the thesis that reality is basically mental". Sir James Jeans wrote; "The stream of knowledge is heading towards a non-mechanical reality; the Universe begins to look more like a great thought than like a great machine. Mind no longer appears to be an accidental intruder into the realm of matter... we ought rather hail it as the creator and governor of the realm of matter." "I incline to the idealistic theory that consciousness is fundamental, and that the material universe is derivative from consciousness, not consciousness from the material universe... In general the universe seems to me to be nearer to a great thought than to a great machine. It may well be, it seems to me, that each individual consciousness ought to be compared to a brain-cell in a universal mind. The chemist Ernest Lester Smith wrote a book Intelligence Came First (1975) in which he claimed that consciousness is a fact of nature and that the cosmos is grounded in and pervaded by mind and intelligence. "What quantum mechanics tells us, I believe, is surprising to say the least. It tells us that the basic components of objects – the particles, electrons, quarks etc. – cannot be thought of as "self-existent". He further writes that his research in quantum physics has led him to conclude that an "ultimate reality" exists, which is not embedded in space or time. ↑ Zim, Robert (1995). Basic ideas of Yogācāra Buddhism. San Francisco State University. Source: (Retrieved 18 October 2007). ↑ "idealism, n. : Oxford English Dictionary". ↑ "Idealism - Define Idealism at Dictionary.com". Dictionary.com. ↑ "Idealism - Definition of Idealism by Merriam-Webster". ↑ In On The Freedom of the Will, Schopenhauer noted the ambiguity of the word idealism, calling it a "term with multiple meanings". For Schopenhauer, idealists seek to account for the relationship between our ideas and external reality, rather than for the nature of reality as such. Non-Kantian idealists, on the other hand, theorized about mental aspects of the reality underlying phenomena. ↑ ARNE GRØN. "Idealism". Encyclopedia of Science and Religion. Retrieved 1 August 2011. ↑ "world ground (philosophy) - Britannica Online Encyclopedia". Britannica.com. Retrieved 2012-08-17. ↑ Ian Charles Harris, The Continuity of Madhyamaka and Yogacara in Indian Mahayana Buddhism. E.J. Brill, 1991, page 133. ↑ Dan Lusthaus, "What is and isn't Yogācāra." . ↑ J.D.McNair. "Plato's Idealism". Students' notes. MIAMI-DADE COMMUNITY COLLEGE. Retrieved 7 August 2011. ↑ Simone Klein. "What is objective idealism?". Philosophy Questions. Philosophos. Retrieved 7 August 2011. ↑ "Stove's discovery of the worst argument in the world". ↑ Friedrich Nietzsche, Beyond Good and Evil, Part 1 On the Prejudice of Philosophers Section 11; cf. On the Genealogy of Morals, book III, 25, the last paragraph. ↑ Cf. e.g. The Will To Power, 552. Online text here. "At last, the «thing-in-itself» also disappears, because this is fundamentally the conception of a «subject-in-itself». But we have grasped that the subject is a fiction. The antithesis «thing-in-itself» and «appearance» is untenable; with that, however, the concept «appearance» also disappears." ↑ "Idealism - By Branch / Doctrine - The Basics of Philosophy". ↑ One book devoted to showing that Hegel is neither a Berkeleyan nor a Kantian idealist is Kenneth Westphal, Hegel's Epistemological Realism (Dordrecht: Kluwer, 1989). ↑ An interpretation of Hegel's critique of the finite, and of the "absolute idealism" which Hegel appears to base that critique, is found in Robert M. Wallace, Hegel's Philosophy of Reality, Freedom, and God, (Cambridge: Cambridge University Press, 2005). ↑ See Wallace, Hegel's Philosophy of Reality, Freedom, and God, chapter 3, for details on how Hegel might preserve something resembling Kant's dualism of nature and freedom while defending it against skeptical attack. ↑ G. W. F. Hegel, Phenomenology of Spirit, trans. A. V. Miller (Oxford: Clarendon, 1977), para. 771; cf. para. 374. ↑ Leonard F. Wheat, Hegel's Undiscovered Thesis-Antithesis-Synthesis Dialectics: What Only Marx and Tillich Understood (Amherst, NY: Prometheus, 2012), 69, 105-106, 116, 158-59, 160, 291, 338. ↑ Robert Tucker, Philosophy and Myth in Karl Marx (Cambridge: Cambridge University Press, 1961), 43, 66. ↑ See the book Idealistic Argument in Recent British and American Philosophy By Gustavus W Cunningham page 202 "Ontologically i am an idealist, since i believe that all that exists is spiritual. I am also, in one sense of the term, a Personal Idealist." ↑ "George Holmes Howison". Howison.us. Retrieved 2012-08-17. ↑ "Research & Articles on Howison, George Holmes (1834–1916) by". BookRags.com. 2010-11-02. Retrieved 2012-08-17. ↑ McLachlan, James. "George Holmes Howison: "The City of God" and Personal Idealism". 20 (3): 224–242. doi:10.1353/jsp.2007.0005. ↑ Studies in Hegelian Cosmology ibid. ↑ Charles M. Bakewell, "Thomas Davidson," Dictionary of American Biography, gen. ed. Dumas Malone (New York: Charles Scribner's Sons, 1932), 96. ↑ Gerson, Lloyd P. (2004). The Unity of Intellect in Aristotle's "De Anima" (PDF). Phronesis. 49. pp. 348–373. JSTOR 4182761. Desperately difficult texts inevitably elicit desperate hermeneutical measures. Aristotle's De Anima, book three, chapter five, is evidently one such text. At least since the time of Alexander of Aphrodisias, scholars have felt compelled to draw some remarkable conclusions regarding Aristotle's brief remarks in this passage regarding intellect. One such claim is that in chapter five, Aristotle introduces a second intellect, the so-called 'agent intellect', an intellect distinct from the 'passive intellect', the supposed focus of discussion up until this passage. This view is a direct descendent of the view of Alexander himself, who identified the agent intellect with the divine intellect. Even the staunchest defender of such a view is typically at a loss to give a plausible explanation of why the divine intellect pops into and then out of the picture in the intense and closely argued discussion of the human intellect that goes from chapter four through to the end of chapter seven. ↑ A.S. Eddington, The Nature of the Physical World, page 276-81. ↑ Sir James Jeans, The mysterious universe, page 137. ↑ Sir James Jeans addressing the British Association in 1934. ↑ Sir James Jeans The Universe Around Us page 317. ↑ d'Espagnat, Bernard (20 March 2009). "Quantum weirdness: What We Call 'Reality' is Just a State of Mind". Guardian. Look up idealism in Wiktionary, the free dictionary. "Idealism". Stanford Encyclopedia of Philosophy. "German idealism". Internet Encyclopedia of Philosophy.